As the evenings grow darker and the mornings get frosty, we look forward to the Christmas period. 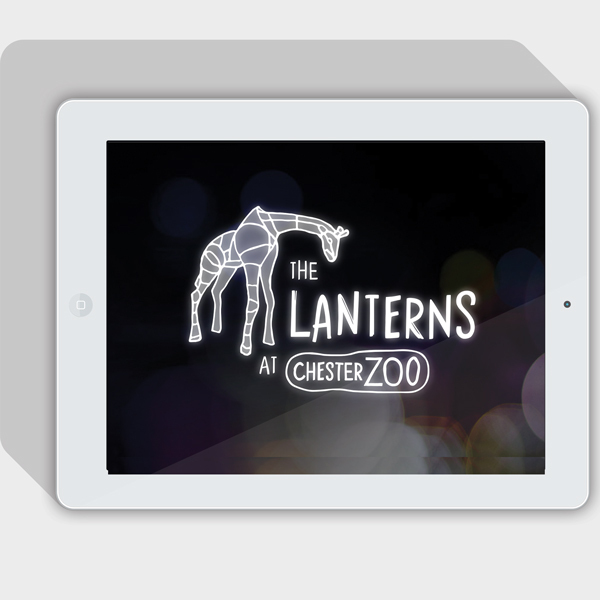 This year we are really proud to have worked on Chester Zoo’s Christmas Campaign – The Lanterns. In its fifth year at Chester Zoo, The Lanterns event is a family favourite. Families of all generations experience the magic and wonder of seeing the zoo lit up at night with dozens of giant animal lanterns. The event is multi generational but particularly loved by children under five, with the parents enjoying watching their “children’s faces as they [see] all the wonderful lanterns”. This year’s event is set to be bigger and even more magical and Chester Zoo wanted to reflect this with an updated and refreshed look and feel. So Chester Zoo looked to Ultimate to help bring some ‘creative magic’ to the campaign. The brief was to create a campaign that truly reflected the magic of the event and befitting of a world-class attraction, increasing return visits and new bookings for the event. The main objective of the campaign is to deliver a 50 % increase in footfall to the event at Chester Zoo. The Zoo were looking for a refreshed look and feel, whilst ensuring that the event was still recognisable from previous years. All artwork and designs must reflect the Chester Zoo brand, ensuring it sits comfortably with the other campaigns. The campaign focuses on the look of wonder and amazement on the faces of the children. The line “See their eyes light up, and their imagination run wild” aims to provoke emotion and a connection from a parent looking for an exciting and different Christmas experience for all the family. A dedicated photoshoot was organised and art directed by Ultimate to capture the exact moment of a child’s gaze that we were looking for. This photography is complimented by an illustrative style of the lanterns to evoke the imagination inspired by the event. This style fits with the Chester Zoo brand and visually sparks further excitement, whilst the darker colours give that feeling of a nighttime adventure, which is quite different to anything the zoo normally offers. All of the campaign assets have been produced by Ultimate and we can’t wait to attend the event! The results of our hard work speak for themselves with banners and posters being seen all over the North-West. This was a truly spectacular campaign to work on with Chester Zoo, and we hope it is as well received as it has been a pleasure to work on. Why not check out the animated video, that we created as part of the campaign, below. And if you want to visit the Lanterns, you best be quick as tickets are selling out fast! Watch the animated video here!